When we headed down to Cancún, I fully expected that I would commit some sort of embarrassing/hilarious (and perhaps ADHD-influenced) snafu that would be worthy of sharing with everyone back home. Perhaps I’d forget to remove the cardboard insert from a new pair of shoes or I’d encounter a wild animal that I would attempt to take home as a pet. At the very least, maybe I would scream in terror and cause another hotel guest to do the same. The possibilities were endless, really! Let’s not forget when Kiki and I participated in water Zumba. That was pretty damned amusing. And then there was the time I ordered three drinks all for myself and drank them at 10 p.m. while wearing a sun hat, but that’s neither here nor there. But overall, nothing of the Of COURSE It Was Emily variety. All we had to do was get home. One of the benefits of Nick traveling as often as he does is that he accrues a lot of airline miles, which can then be applied to upgrades or “free” tickets. Because of the celebratory nature of this trip, Nick decided to splurge and use his miles to get us first class seats for the Chicago-Cancún portions of our journey. It’s already been established that first class and I don’t get along so well, but this seemed like a good opportunity to mend our differences and move forward. This was taken on the way TO Cancún; I know because there is a Bloody Mary and a mimosa involved. Everything went swimmingly for the first half of the flight. We enjoyed our lunches but completely eschewed the alcoholic beverages; turns out, it’s definitely possible to reach your limit after five days of all-you-can-drink booze – who knew? 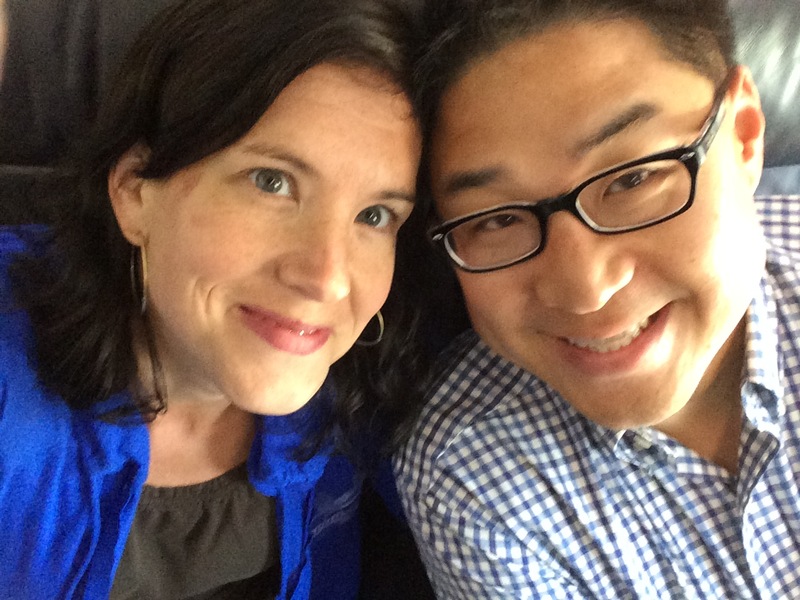 I’d taken the aisle seat because I tend to need to use the bathroom at least twice during every single flight, so that when Nick required a trip to the loo, he had to maneuver around me to get to the aisle. He got up out of his seat just fine, began to scootch in front of me… and promptly spilled my entire cup of ginger ale — and ice (lots and lots of ice) — into my lap. The sudden chill in my nether regions was what alerted me to his gaffe. (Have you ever dumped an icy beverage onto your lady [or gentleman] parts? If not, allow me to assure you that it is REALLY FREAKIN’ UNPLEASANT.) As the frigid ginger ale pooled onto the seat below my rear end, I immediately lifted my tush off of the seat to get away from it – but quickly discovered that I couldn’t quite escape the deepening disaster because my seatbelt was still fastened. If you’ve spent any time in a car or plane with a seatbelt on (and really, you should; buckling up saves lives, for real), you know that straining against the belt makes it infinitely harder to unbuckle. The more I pushed upward to avoid the icy mess, the more impossible it was to unhook the clasp, meaning that for a good 20 seconds I was hovering with my tookus three inches above my soaking-wet seat while madly trying to release the hinge on the buckle (which made a delightfully angry clang! with each successive attempt). First CLASSY, wouldn’t you say? At last, I realized that, in order to extricate myself, I had to create a little slack in the line – which meant I had to lower my caboose a couple of inches back into the freezing puddle. Once I was free of the seatbelt, there were still the problems of a) the contents of my cup of ginger ale that were now seeping into my seat and b) my soaking wet pants and lady parts. 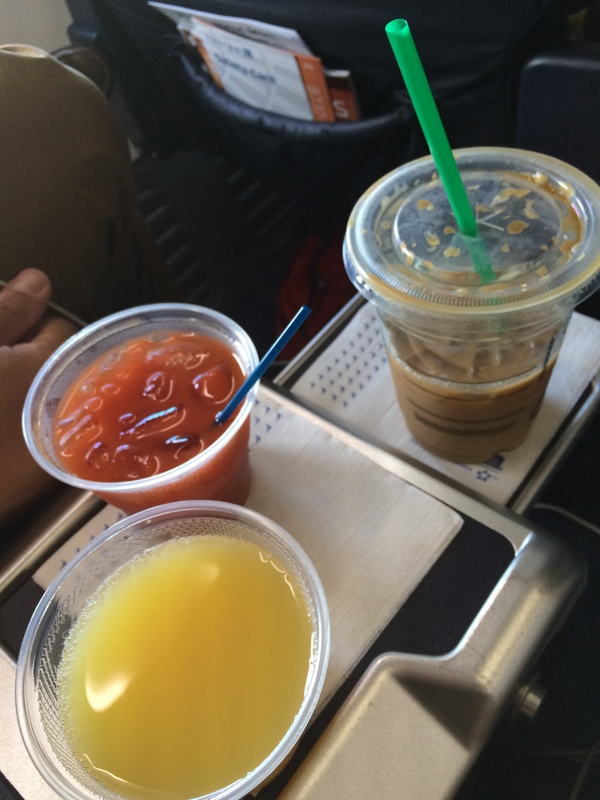 After apologizing profusely for his mistake, Nick had hustled himself off to the bathroom… so I had to request some clean-up help from the flight attendant. When she handed me the wad of napkins to soak up the spill and the extra blankets to place on the seat (to “save” me from getting wet? ), she did so with a look that clearly indicated she thought that I was responsible for the debacle. Which, normally, would have been the case – but this time?? SO NOT MY FAULT. Once he returned from the bathroom, do you think that Nick ‘fessed up and explained that he, not I, had spilled the drink and created this ruckus? Of course he did not. And we hadn’t even been drinking. OH THE IRONY. Miraculously, the blanket trick worked; by the time we landed at O’Hare, my pants were dry enough to not necessitate purchasing anything new for me to wear home. (Bonus: ginger ale dries clear, even on khakis.) We had seats in coach from Chicago to Rochester, which was probably good for everyone involved. We are currently visiting family in Minnesota, as we do every summer. When Nick found out that he’d been upgraded to first class for one of our flights, he graciously offered his seat to me… and I graciously accepted. I regret am pleased to inform you that the entire flight went off without a hitch; nothing was spilled and I even managed to use the tray tables quietly. Go me! There’s always the chance he could be upgraded on one of our return flights, however. If he does, I’ll be sure to keep you posted. On the first flight to Mexico. Don’t we look bright-eyed and un-spilled upon? 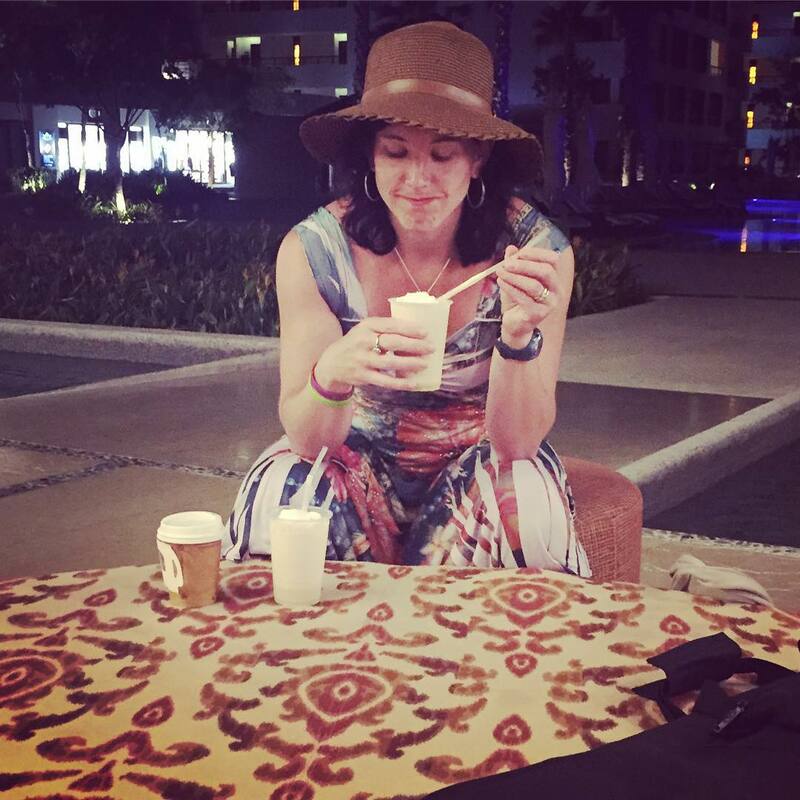 This entry was posted in good life, of COURSE it was emily, typical crazy and tagged ADHD, adventure, Cancun, Mexico, travels by missemtoo. Bookmark the permalink.